degree in Law. He thereafter went to the Law School where he was called to the Nigerian Bar. 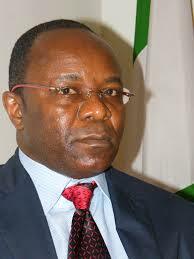 Emmanuel Ibe Kachikwu proceeded further to Harvard Law School to obtain his Masters and Doctorate degrees in Law. He began his working career with the Nigerian/American Merchant Bank before moving on to Texaco Nigeria Limited from where he joined Exxon-Mobil. He later rose to the position of Executive Vice Chairman and General Counsel of Exxon Mobil(Africa). On August 4, 2015, Dr. Emmanuel Ibe Kachikwu was appointed as the group Managing Director of Nigerian National Petroleum Corporation(NNPC). He was later appointed the Minister of State For Petroleum Resources by President Muhammadu Buhari.